← The Fault Is Not in Our Stars: Interstellar, reviewed. We taped this episode on Tuesday night, the evening in between the one where I saw a digital IMAX presentation of Interstellar and the one where I saw it a second time, at the National Air & Space Museum, in Nolan’s preferred format: 70mm celluloid IMAX. Not only does it look better, it sounds better. None of the audio problems we discussed on the podcast were present in the 70mm presentation I saw at the museum, and at risk of shilling for the company – I work for Air & Space / Smithsonian magazine, which is separate from the museum but has a working relationship with it, obviously – NASM is the only place in DC where you can see Interstellar in the format its director intended. 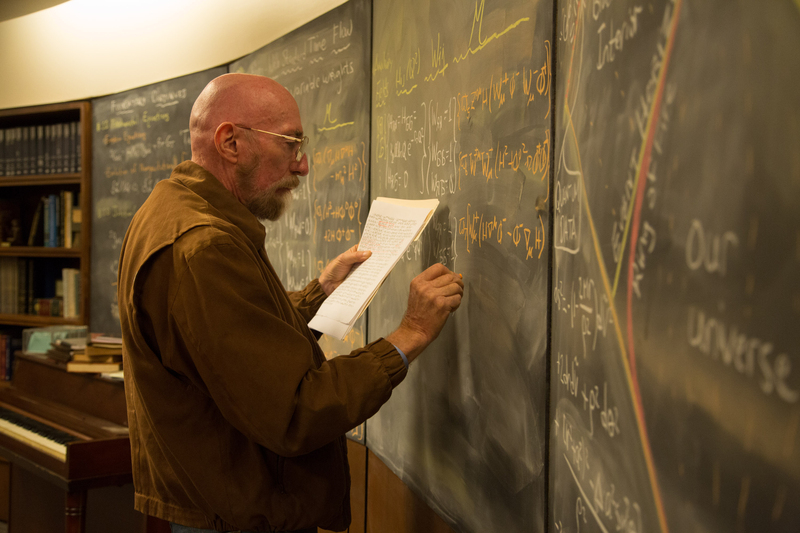 INTERSTELLAR’s progenitor (with producer Lynda Obst) and science adviser, astrophysicist Kip Thorne. 1. Nothing in the film will violate firmly established laws of physics, or our firmly established knowledge of the universe. 2. Speculations (often wild) about ill-understood physical laws and the universe will spring from real science, and idea that at least some “respectable” scientists regard as possible. Of course, Thorne himself admits no one could survive a trip through a wormhole, which the astronauts in Interstellar use to access a distant galaxy. Defending the movie’s science is Thorne’s area, not mine. On the podcast, Linda speaks eloquently about the way representation of spaceflight in the movies connects to the tradition of tales of sea travel; the danger and isolation of traveling the ocean in a tiny boat. Not until I saw Interstellar a second time, the evening after our recording, was I reminded that Matthew McConaughey’s character, Cooper, says almost exactly the same thing. He tells a space-sick crewmate played by David Gyasi that some of the world’s best yachtsmen can’t swim. (I have no idea, but it sounds very poetic.) “We’re explorers, Romilly,” he says. “This is our boat.” And that exchange of dialogue directly precedes a shot I cited both in the podcast and in my review: their spaceship, the Endurance, dwarfed by Saturn. Semirelated: When Star Trek into Darkness came out a year-and-a-half ago, I wrote a Monkey See piece for Linda about how the Trek franchise became more explicitly nautical in its language, costuming, and set design when writer-director Nic Meyer came in to make The Wrath of Khan in 1982. Meyer couldn’t relate to space opera, but high-seas adventure he got. I’m sorry we didn’t get to spend a minute discussing Interstellar’s robots, TARS, CASE, and KIPP, which have a design that allows them to walk, run, and carry things while still embodying a visual homage to 2001: A Space Odyssey, the plausible-space genre’s Magna Carta. They’re like five-foot-tall Swiss Army knives with a more sophisticated, sarcasm-enabled version of Siri. When their limbs aren’t deployed, they look like the smooth, black monolith from 2001 with HAL 9000’s single, plate-sized, glowing red eye affixed to it. TARS, the ‘bot who gets the most screen time is voiced and also physically manipulated in some scenes by Bill Irwin, a brilliant clown who I saw give a brilliant performance as George in Who’s Afraid of Virgina Woolf? opposite Kathleen Turner at the Kennedy Center in probably 2007. 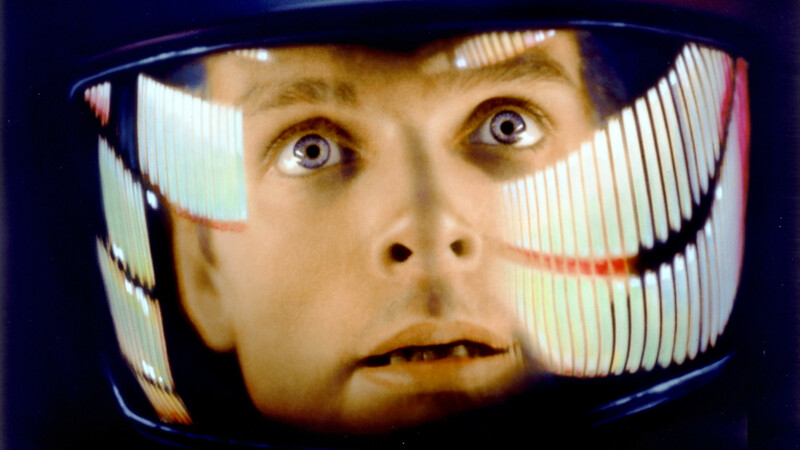 I’d also come in prepared to talk about 2001’s literal sequel, 2010: The Year We Make Contact. My dad took me to see it when it was released 30 years ago; I watched it again last year and was surprised by how strong writer-director Peter Hyams’ more commercially-minded, more explicable sequel to Stanley Kubrick’s forbidding 1968 masterpiece actually was. Sure, it explains a lot about its progenitor that maybe didn’t need explaining, and its voiceover work from lead Roy Scheider ­– Chief Brody himself! – feels like a sop to everyone who complained that is 2001 is boring or confusing. But certainly respects its progenitor’s mysteries more than Prometheus did ALIEN’s. Finally, thinking about what other space films I might discuss reminded me of an embarrassing number of blind spots: I’ve never seen The Right Stuff, Phil Kaufman‘s film of Tom Wolfe‘s nonfiction book about the early space program, an oversight I shall remedy. I can’t explain that, nor how I missed the dueling Mars movies from 2000, Red Planet and Mission to Mars. Stephanie Zacharek, a critic I’ve read since those movies were new and with whom I now share an editor and pal in the Village Voice’s Alan Scherstuhl, has always said Mission to Mars is good. Maybe I was just busy that year; I fell in love and moved to California. But I have a pretty good guess as to why I stayed home from Supernova, which also released that year. This entry was posted in movies, podcasts and tagged Christopher Nolan, Glen Weldon, INTERSTELLAR, Kip Thorne, Linda Holmes, Phil Plait, Pop Culture Happy Hour, Stephen Thompson. Bookmark the permalink.